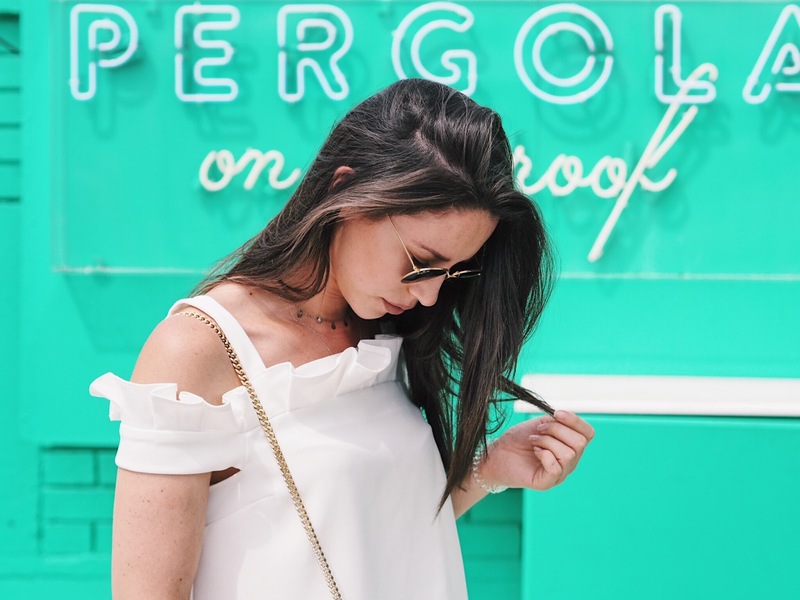 Last summer I got serious FOMO every single time I saw anything to do with Pergola, but I had such a busy summer working full time (weekends and most evenings) and I didn't have the chance to visit the rooftop bar/restaurant. So it's safe to say, I jumped at the opportunity of visiting Pergola On The Roof last month. When I say instagram heaven, I'm not kidding. 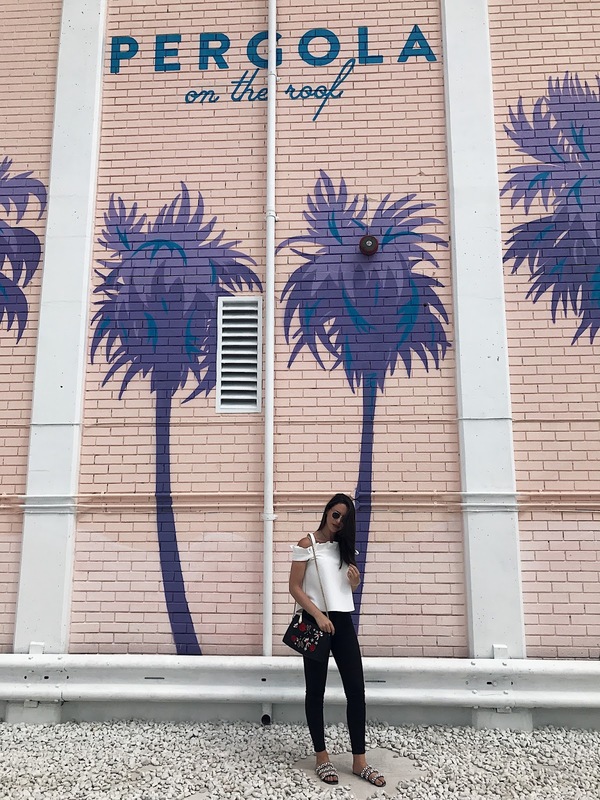 I felt like I was sat in LA (minus the view), I'm definitely going to go back on a sunnier day! Pergola is based on the top of a car park in White City - whoever came up with the idea, bravo. I think there needs to be a rooftop bar on every multi story car park *just saying*. 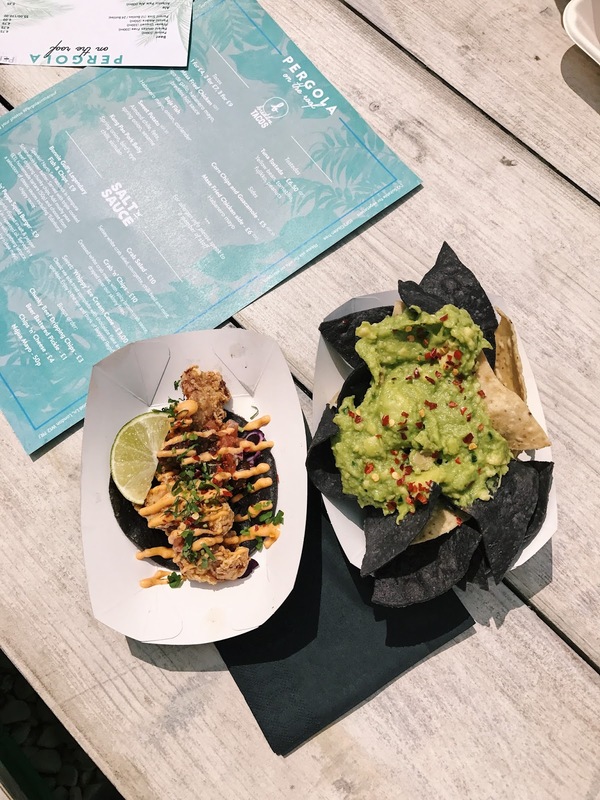 With four restaurants to choose from: Patty & Bun (burgers), 8 Hoxton Square (greek tapas), Salt n Sauce (seafood) and Breddos Tacos, I went with the latter. Then there's two bars, with standard spirits, beer, wine and frozen cocktails! The majority of the rooftop is covered but there is a lot of space to sit or stand out of the covered area! 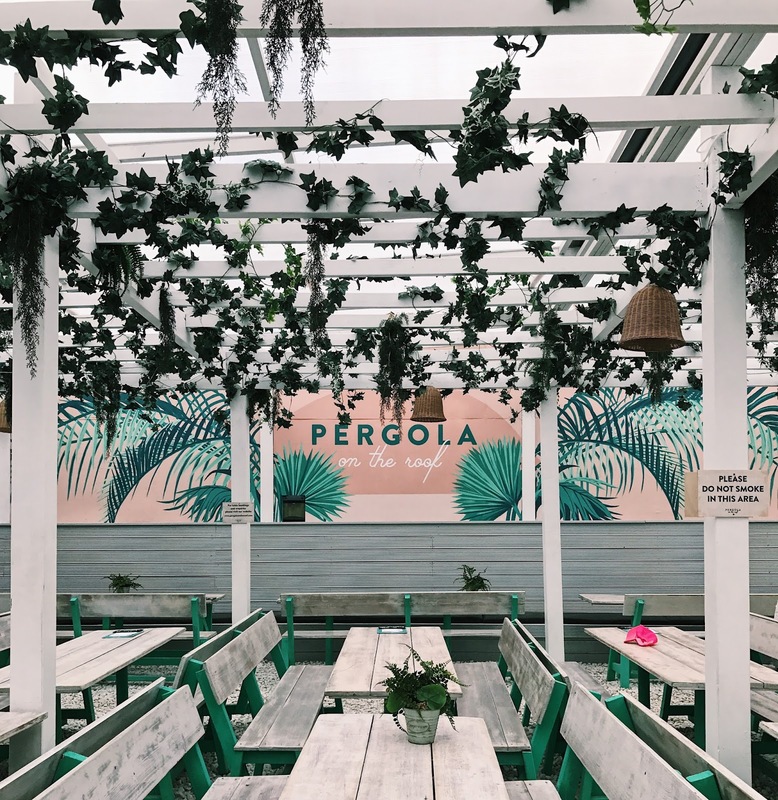 I'll definitely be back to Pergola, hopefully when the weather in London starts to act more like it's supposed to be in summer! There is also another Pergola which is based in Paddington which I'm going to make sure I visit soon! 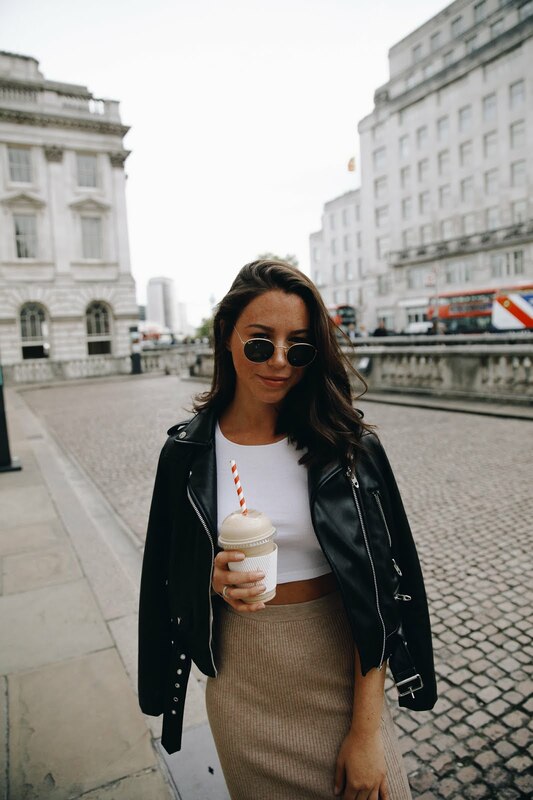 I love sharing my favourite parts of London, let me know if there is anywhere you'd like me to write about!